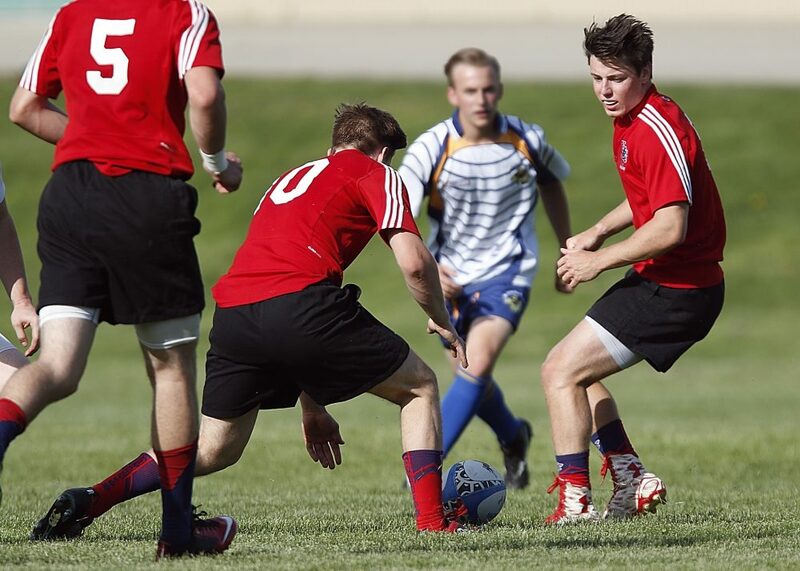 South Africa School Rugby Tours – Rugby is an extremely popular and is widely played all over South Africa. We can provide tailor made tours that feature a wide variety of excursions and the hight standard of competition that you require. Excursions: Various options available including visits Springbok Experience Museum and Kariega Game Reserve Drive. We offer a wide selection of high quality accommodation throughout South Africa that is ideal for school groups. South Africa school rugby tours are special, let’s start with that! It feels special the minute that you arrive because you can almost feel a culture change; people are smiling and appear glad to see you, even in the airport. A sports tour to South Africa gives your students an experience that will stay with them throughout their lives. So that’s why it needs to be done properly. At Activ4 we believe that there is no substitute for planning and preparation which is why our South African based organiser, Dale, is so important. Dale has spent the last 15 years creating a fantastic sports tour infrastructure which means that you can relax in the knowledge that you are in expert hands. We understand that as the party leader, the tour starts from the moment that you enquire, not the day that you depart. Although all of our tours are tailor-made we will advise you on the structure of the itinerary and the best places to stay. You are in one of the most exciting places on the planet so we will structure a programme of special excursion visits and ‘Must-Do’ sightseeing opportunities. We understand you can’t see South Africa without a visit to Robben Island but what about the best ‘Game Drive’s’ and how to actually get under the skin of the place. This can only come down to local knowledge and reinforces the point that if you are going to do it, do it right! Then there is the sport. Sport in South Africa seems to be in the genes and the opportunities are endless. The key to the best sports tours though are to understand where to pitch the level. Once again this comes down to our expertise, not only on the ground in South Africa but back at head office. You won’t be just a number and your tour manager will be getting to know you and the group so that we can help you to make this a fantastic experience for everyone. Excursions & Inclusions: Various options available including visits Springbok Experience Museum and Kariega Game Reserve Drive. Cape Town is southern Africa’s most beautiful and most visited city. By far the most striking and famous of its sights is Table Mountain. Frequently shrouded by clouds this mountain provides a scenic backdrop to the city. 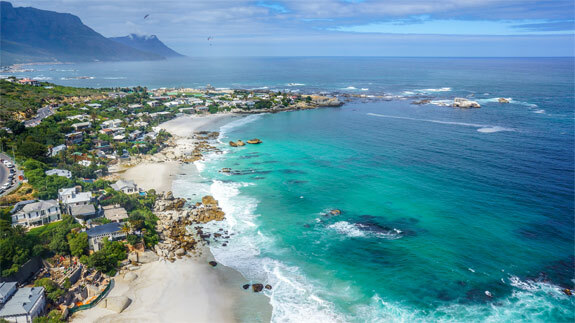 Other popular sights include the Victoria and Alfred Waterfront, Robben Island, the infamous island prison that was Nelson Mandela’s home for nearly two decades and the various vineyards in and around the Cape that have produced some of SA’s most popular. Perfectly positioned in the heart of Cape Town’s waterfront development, the Breakwater Lodge gives you all the access you need to explore the sights of theis wonderful city. Comfortable, welcoming and practically furnished this hotel offers excellent value and sports teams make good use of its laundry. Depart from UK airport bound for overnight flight to Cape Town, South Africa. Your group will be met on arrival by our activ4 South African Representative, whom will accompany you for the duration of the tour. Cape Town is South Africa’s most beautiful, most visited city and by far the most striking and famous landmark is Table Mountain. Other popular sites include the Victoria and Alfred Waterfront, Robben Island, the infamous island prison that was Nelson Mandela’s home for nearly two decades and the various vineyards in and around the Cape that have produced some of SA’s most popular wines. You will head to the 3* Lady Hamilton hotel for check in and dinner before turning in after a long day. At the hotel there is a TV room, a room with a pool table as well as conference rooms for team meetings, and evening activities such as a quiz, talent show, and movie nights. You will start each day with breakfast at the hotel. Table Mountain towers above the Lady Hamilton Hotel in one of the oldest suburbs in Cape Town. The area is situated at the top end of the Company Gardens alongside the historic Parliament Buildings. The Cape Town city centre is only about a five to ten minute walk away. Also within easy walking distance is the vibrant Kloof Street with its trendy and quaint shops, top restaurants and coffee shops. This morning travel to Table Mountain. A 1087m flat-topped massif with dramatic cliffs and eroded gorges, dominates the northern end of the Peninsula. Its north face overlooks the city centre with distinct formations of Lion’s Head and Signal Hill to the west and Devils Peak to the east. Experience the dizzying views across Table Bay from the highly popular cable car which takes you to the top of the mountain. This afternoon you will head to a local school for your first training session before returning to the hotel for dinner. This morning you will return to the local school for a training session. This afternoon it’s time to discuss pre match tactics as you set off to your first fixture against South African opposition. There will be after match hospitality at the school which will give both players and coaches’ time to mix socially before you return for a celebratory dinner at your hotel. It’s another busy day on tour and after breakfast your party will take the ferry crossing to one of South Africa’s biggest tourist draws, Robben Island. In centuries past it was used as a whaling station, hospital, mental asylum and military base and for nearly 400 years, Robben Island was a place of banishment, exile, isolation and imprisonment. It was here that rulers sent those they regarded as political troublemakers, social outcasts and the unwanted of society. The most famous prisoner, whom spent 19 of the total 27 years of his incarceration here, was Nelson Mandela, South Africa’s previous State President. 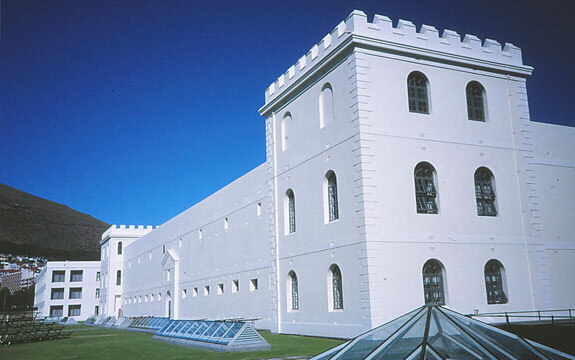 A former inmate will take you on the 1 ½ hour tour around the island & through the prison. The last prisoners left in 1996 and since then, Robben Island has become a museum which symbolises the struggle to overthrow apartheid. You can spend your afternoon at the V & A Waterfront where you can enjoy lunch at the foot of Table Mountain. Only a stone’s throw from the Cape Town Stadium and in the heart of Cape Town’s working harbour, the V&A Waterfront has always been a draw with international visitors who enjoy not only the shops and restaurants but also the magnificent views of the ocean to one side and the mountains to the other. Back to school for another training session. The next round of tour fixtures is played this afternoon and once again there is the opportunity to mix socially with the opposition following the matches before returning to the hotel for dinner. This morning you will meet your tour guide for a tour of Cape Town which will include, amongst other places, a visit to the castle, the company gardens, St’ George’s Cathedral, House of Parliament and the District 6 museum. Up until the 1970s, District Six was home to almost a tenth of the city of Cape Town’s population. In 1965, the apartheid government, as it had done in Sophiatown in 1957, declared District Six “white”. More than 60,000 people were forcibly uprooted and relocated onto the barren plains of the Cape Flats. In the process, over a century of history, of community life, of solidarity amongst the poor and of achievement against great odds, was ended. Today you may decide to spend the morning at Boulder’s beach. Alternatively you may want to visit the ‘Two Oceans Aquarium’, which is without doubt one of the most exciting attractions in Cape Town. The high quality exhibits, conservation and education programs are key in raising environmental awareness. Ideally positioned where the two oceans, the Indian and Atlantic meet, it offers over 3000 living sea animals, including shark, fish, turtle and penguin in this underwater nature reserve. You can step closer to the touch pool and see anemones up close and personal, view creatures magnified at the Microscope display or take the unique opportunity to “get close” to ragged-tooth sharks and shoals of large predators by diving in the Aquarium, a dive which one cannot experience in the natural environment. Later this afternoon you will head out for your final tour fixtures. This morning you will head to Africa’s leading super regional retail mall, Canal Walk shopping centre. It attracts thousands of international visitors every year with its spectacular architecture, spacious malls and unparalleled array of local and international retail brands as well as the unique Afri-Bizarre, which showcases the work of local retailers and craftsmen. The area is situated at the top end of the Company Gardens alongside the historic Parliament Buildings. The Cape Town city centre is only about a five to ten minute walk away. Also within easy walking distance is the vibrant Kloof Street with its trendy and quaint shops, top restaurants and coffee shops. This evening you will head to Grand West Casino where you will enjoy dinner and an evening Ice skating. Unfortunately all good things come to an end and today you return to the UK. After breakfast it’s time to check out but there is just enough time for some last minute shopping at Canal Walk. Our coach will transfer you to the airport for the flight back to London. Arrive back at London airport. The tour officially ends here but with a trip this great we are sure that it will live long in the memory.